Do you remember the last time you slept on an uncomfortable bed? You have probably tossed and turned all night and woke up tired, sore and stiff. Chances are that your dog felt the same at some point in his life. After all, how many times you have found your dog sleeping on your high-end sofa or snuggled in your bed underneath the covers? Obviously, dogs know what is good for them since they on average spend 14-16 hours a day sleeping. However, allowing your dog to sleep on your sofa means that you will have to clean hairs and other doggy messes. So, if you aren’t in the mood to share your stylish furniture with your dog, you should treat him with one of the best luxury dog beds. To will review 6 stylish and comfortable dog beds to help you find a high-end bed for your pooch. What are the Benefits of the Best Luxurious Dog Beds? Raised design keeps a dog protected from the draft. For curler and leaner dogs. Features pockets for treats and toys. The Enchanted Homes Pet Snuggle Sofa Bed is a great option if you are looking for a luxurious bed for a small dog. Are you tired of hiding your dog’s ugly bed every time you have friends over? If so you aren’t alone, many people place beds and kennels in corners or hidden areas so they won’t disrupt the room’s decor. A deluxe dog bed can provide your dog comfort and be your living room’s focal point in a good way. The Enchanted Homes Snuggle Sofa Bed is made for small dogs that weigh up to 10 pounds. If you have a slightly larger pooch or a chewer, this product won’t be the best fit for you. Due to its design, this doggy sofa is a suitable option for dogs who like to stretch, curl, or lean while they sleep. The foam cushion provides good support and ensures proper rest. This product has a wooden frame, that ensures durability and also gives it a high-end finish. The cushion cover can be removed and washed and the sofa has a storage pocket for toys and treats. The cushion is a bit firm. The Paws & Purrs Pet Upholstered Sofa Bed is a suitable option if you are looking for luxury small dog beds. Does your dog like your sofa so much, that he completely claimed it for himself? Even if you don’t mind having him there, cleaning dog hairs and muddy paw prints from upholstery isn’t a way you want to spend your days. Made to look like a mini sofa, this product is low to the ground and easy to jump on. Thus, it is suitable for older dogs with joint problems and smaller dogs that can’t jump too high. Since it is made to fit dogs up to 30 pounds, this fancy dog bed isn’t the right choice for larger pups. The padded foam cushion is 3-inches thick and will offer your dog a comfortable place to nap. It also comes with a zipper, thus making the cover suitable for machine washing. This product comes in two colors, oatmeal, and sand. With its inconspicuous design, it will easily fit into any home decor. Looks like a mini sofa. Fabric can tear if scratched. The D-Art Collection Mahogany French Dolat Pet Sofa is an elegant and well-made dog bed for clean and well-behaved pets. Finding a suitable dog bed can be a challenge if you are a fan of elegance and Victorian style furniture. If this is the case, you have probably wondered how it can be so hard finding a dog bed luxury that will go with your decor when there are so many products on the market. This luxury dog bed is made from real mahogany wood that features hand carved details. Due to that and its size, it is suitable for small and medium-sized dogs that won’t be tempted to chew the wood. If your dog has even the slightest chewing tendencies, you should pick another product that can’t be easily destroyed. The carving and the style of the sofa are based on Victorian era and make this product one of the top dog beds in deluxe category. The lounging area is spacious and suitable for dogs up to 30 pounds. You should keep in mind that the cover can’t be removed and that this luxury dog lounge can only be spot cleaned. Furthermore, the color of the upholstery isn’t beige, but three shades darker and more brownish. 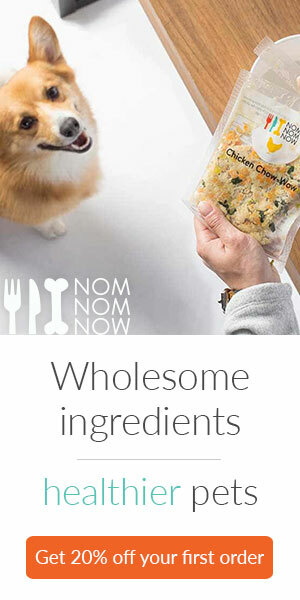 For dogs up to 30 pounds. The color is not as described. The cover can’t be washed. The Enchanted Home Brisbane Tufted Pet Bed is a suitable option if you are looking for a luxury dog bed for the medium-sized pooch. Are you a fan of leather, but you don’t want to see your sofa accidentally scratched by your dog? Generally, pets and leather furniture are rarely a good fit, but there is a solution for this situation. The Enchanted Home Brisbane Tufted Pet Bed features a durable faux-leather fabric that looks stylish and will entice your dog away from your leather sofa. However, dogs that like to dig and burrow will tear this bed to shreds in no time. As one of the deluxe dog beds, this product has a wood frame for extra durability and appeal. Since it is covered in leather, it is easy to wipe clean and maintain. The foam cushion is comfortable and offers proper support to dogs who have mobility issues. This luxury pet bed is suitable for medium-sized dogs that weigh from 26-50 pounds. The cushion is plush and doesn’t slide. The cushion is a bit overstuffed. The Rover Large Leather Pet Sofa Bed is a suitable choice if you are looking for a sturdy and deluxe bed for a large dog. Did you ever found yourself pushed from your high-end sofa by your large dog? If your dog prefers the feel of the couch over his bed you should consider upgrading it to one of the fancy dog beds. The Rover Large Leather Pet Sofa Bed is a luxurious solution for dogs who like to use furniture as their lounging area. However, if your dog likes to chew he will easily destroy this bed, and you will end up wasting money. This sofa is upholstered in a polyurethane leather fit and fabric area where your dog can comfortably sleep. Since this is one of the luxury large dog beds the frame is made from wood that provides durability. The cushion is comfortable and plush, but it also offers support for larger dogs. This bed can be used indoors and outdoors, and its brown color fits nicely into any decor. Nice design and neutral colors. The Outdoor Chaise Bed is a uniquely designed outdoor lounge and a suitable choice for larger dogs who like to relax in the patio. Those of you who are looking for a deluxe outdoor bed that offers comfort are usually left disappointed. But that has to happen no more, since this wicker bed ticks all of that boxes, provided that it is suitable for your dog’s size. The size options are a bit limited since Outdoor Chaise Bed comes only in large and extra large size. So it won’t be a right pick for owners with small dogs. Compared to other luxury pet beds for dogs, this product has one of the most unique designs. The dark brown wicker shade will keep your dog cool in the sun an at the same time offer a unique look that fits in with most outdoor decorations. The thick completely washable cushion is comfortable and supports large dog. The basket design of this bed will also keep the cushion from being in direct contact with the ground. While that isn’t enough elevation to provide additional cooling, it does help the cushion stay clean for longer. Wicker shade protects from the sun. The cushion is machine washable. The canopy can break if it is windy. Dogs aren’t well known for their impeccable hygiene, thus, you will need to find a deluxe dog bed that is easy to clean. Getting a great looking fancy dog bed won’t mean a thing if your dog’s muddy paw prints are all over it. Keeping your dog’s bed clean is important for his health and it will also increase the longevity of the bed. Therefore, look for luxury pet beds that have removable covers for easy cleaning. The quality of the materials used will determine if the bed is made to last or you will have to buy a new one after a couple of months. Generally, luxurious dog beds aren’t made from unchewable materials and they aren’t suitable for aggressive chewers. They primarily feature materials like wood and softer fabrics that support a fancy look. Even though deluxe beds are made to look great, they also have to be sturdy enough to sustain regular use. Most luxury dog beds are durable enough to last you a long time if you have a well-behaved dog. Most products are made of sturdy wood that can support a dogs intended weight and regular use. However, if your dog likes to chew or scratch, no matter how durable the bed is, it won’t be able to sustain the abuse. Your dog’s comfort should be the main factor you consider no matter what type of bed you are shopping for. Generally, smaller dogs are more suited for softer beds that will allow them to nest comfortably. On the other hand, larger dogs experience daily stress on their joints and need a firmer filling. Thus, look for orthopedic or memory foam beds to keep your dog comfortable and relaxed. The same thing applies to older dogs who suffer from joint pain and mobility issues. The attractive design of deluxe dog beds is their main feature and the thing that convince owners to buy one. Even though all luxury beds are beautiful, they come in various styles and designs and not all will make the right fit for you. It is always a good idea to keep your home’s decor in mind when shopping for a luxury dog bed. Generally, models that come in a variety of colors give you a better chance of finding a dog bed that will fit in with the rest of your home. If you are tired of finding and cleaning your dog’s hair off your furniture, it may be the right time to get your dog a fashionable bed of his own. Buying your dog a regular bed can disrupt the aesthetic feel of your room and you may be tempted to hide it when you have guests over. Getting your dog a high-end best pet bed can solve these problems and some more. It looks great: Let’s face it, most regular dog beds, crates, and kennels aren’t pretty to look at. Luxurious dog beds are made to look great and appear like miniature sofas or king beds. Complement your decor: Deluxe dog beds come in various designs, but all of them are made to go with the rest of your furniture and not to disrupt the flow of the room. In some cases, they are so well made that most people don’t realize that they are looking at a dog bed, and find you new mini sofa just adorable. Comfortable: Even though they are pretty, fancy dog beds are functional as well. Depending on your dog’s needs and sleeping style you can pick between foam or filling. This way you will ensure your dog’s comfort and well-being. Gets dogs to stop jumping on your furniture: Most luxury dog beds are designed to look like a mini sofa. Therefore, they provide the same sleeping support for dogs who like to jump on your furniture. If your dog likes to stretch or lean while he sleeps, the deluxe dog bed will give him an opportunity to do so. Once your dog realizes that he has a sofa of his own, he will no longer be interested to lounge all over your furniture. Will a luxury dog bed be a good fit for my dog? Deluxe dog beds are generally the best choice for well-behaved dogs that don’t like to chew on things. Fancy pet beds are designed to look nice, not to sustain much abuse. Thus, if your pooch is an aggressive chewer, or if he has separation anxiety this type of dog beds won’t cut it. Can a deluxe dog bed help keep my dog off furniture? In most cases, dogs that like to lean and stretch like to sleep on furniture. Armrests give these types of dogs a chance to lean on something, and the size of the sofa gives a dog plenty of space to stretch out. Since luxury dog beds are usually made as mini sofas they give the dog a chance to stretch and lean. So, by buying your dog a deluxe bed he may quit sleeping on your furniture and start to use his exclusively. If you are tired of looking at your dog’s old bed it may be the time to treat him and yourself with one of luxury dog beds. Unlike other types of dog beds, deluxe products won’t disrupt the feel of your home, but will still provide your dog with a cozy area he can call his own. Keep in mind that these beds are best suited for dogs that don’t chew or scratch in order to ensure that your new deluxe bed becomes a permanent piece of your home.